On Easter week of 2014, the Abante International team headed for a long, 26-hour drive to Madrid, Spain. Hosting the team for the week was Jorge Loaiza (a student at the European Theological Seminary). The team supported the ministry of Pastor Rafael Perez Vasquez by serving his congregation, Iglesia Verbo de Dios in Madrid, in many areas of need. The work was extensive but very rewarding. The colleagues did everything from painting and cleaning the church, to preaching, leading worship, and teaching workshops for the congregation. 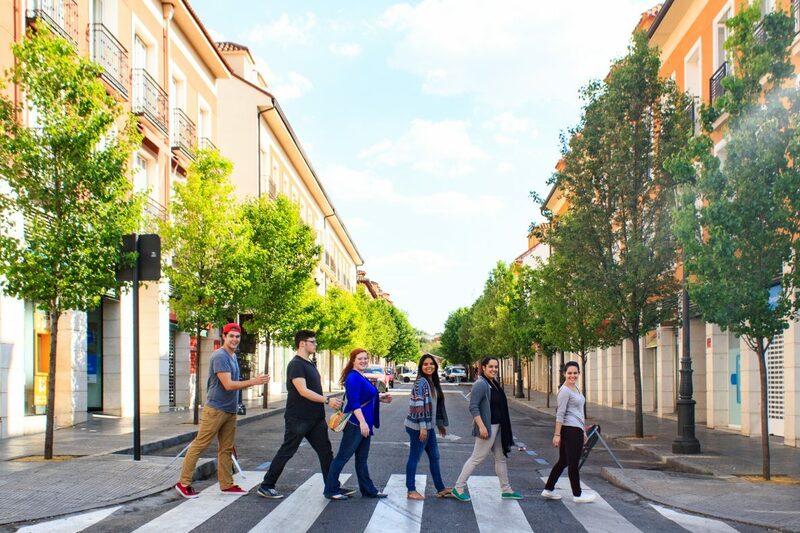 The team also had the opportunity to travel to the city of Aranjuez where they taught a workshop on Friendship Evangelism, and then went out into the streets for practical application. During the team’s time in Madrid, their host Jorge Loaiza was suddenly diagnosed with cancer, and because this was unexpected, the team made it their mission to become Jorge’s intercessors, and Pastor Vasquez’ right hand helpers, offering their talents, support, and love through the difficult and stressful situation. Soon After the team had departed, God came through for Jorge miraculously, and soon he was discharged with a good and clear report! To God be the glory! The Abante team was also blessed with time off to go sight seeing around the area, as well as spending some time with the youth from the local church. There were many organic invitations to come into people’s homes and fellowship where they shared a meal and good conversations with them. It was a week of building relationships and blessing the locals in Madrid. People matter most for Abante International colleagues, and there is nothing more satisfying than pouring into others, and blessing them. Of course, along the way sacred stories were exchanged, and great connections were made that will last an eternity.